A listener explores his environment. Between them the microphone and the recorder. They will stay in the machine until the listener agrees to free them. A cicada endemic to Taiwan, which bears the name of the mountainous area of Taipei, Yangmingshan. Recorded in a forest not far from Pinglin (near Taipei) August 17, 2008. A tiny sparrow, very agile, present in the forested hills and mountains of Taiwan. His high-pitched singing resembles a cricket or the ringing of a bell. 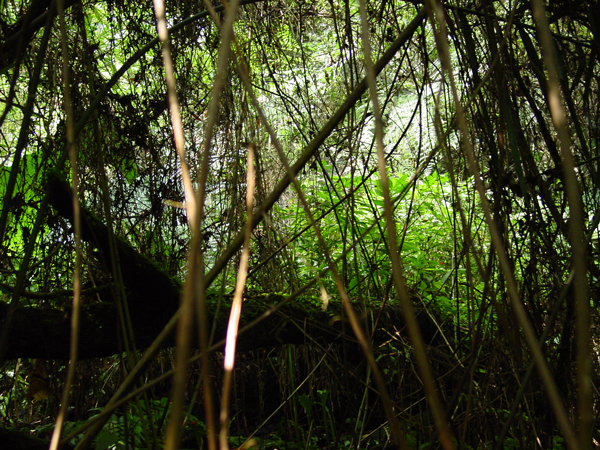 Recorded May 9, 2009 in a bamboo forest near Ruili (Chiayi area). A twenty inches gray and orange bird that lives in mountain forests. A tuft of white feathers across the head which gives him the nickname of white ears. Recorded May 29, 2009 at the entrance of National Park Xue-Shan, Xuejian (Miaoli area). The clatter and grind of Latouche's frog is very common in rivulets of Taiwan. Here, a group was assembled in a container left on a mountain path. Recorded May 31, 2009 at Matoushan (Chiayi area). A small tree frog that does not hesitate to jump on your fingers during the breeding season. Common at low altitudes, this species is capable of amazing leaps. Recorded March 13, 2010 in the hills of Tucheng (Taipei area). Tiny frog's vocal sac can reach the size of the entire body, suggesting an approaching explosion. The song is extremely powerful compared to the size of the animal that lives in the grass at the edge of ponds. Recorded April 7, 2010 at Lian Hua Chi (Nantou County). Yannick Dauby (b. 1974, France/Taiwan) is involved in musique concrete and improvisation, using found objects, electroacoustic devices and phonographies. 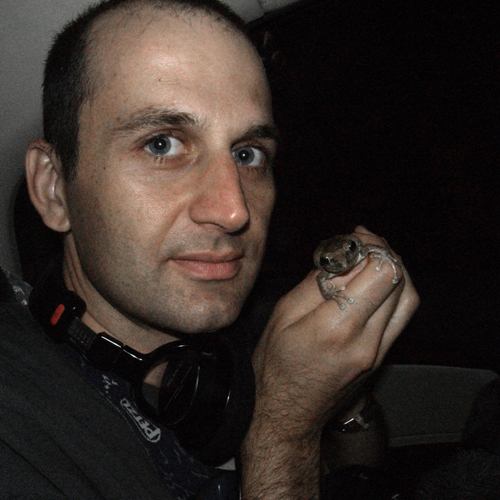 As a field recordist, he as particuliar interest for animal or nature sounds as well as urban situations and unusual acoustic phenomenas. Each excursion is the pretext of a sonic gathering, and often leads to the realisation of a phonographic collage. He works oftenly in collaboration with other musicians and visual artists, producing audio-visual performances or installations. His work has been presented by various international festivals and record labels. He is currently based in Taiwan, interested into the field of anthropology and ecology, exploring the island's soudscape through artistic and research projects.